16+ freeze-dried manuka honey which has been enhanced with Vitamin C and Zinc. These capsules provide 16+ freeze-dried manuka honey which has been enhanced with Vitamin C and Zinc. These nutrients contribute to the normal function of the immune system. As a supplement, take one to two capsules daily, preferably with food. Manuka Honey Powder (Pure Manuka Honey 16+, Maltodextrin), Vegetarian Capsule Shell (Hydroxypropyl Methylcellulose), Vitamin C (Ascorbic Acid), Magnesium Stearate*, Zinc Oxide, Anti-caking Agent (Silicon Dioxide). 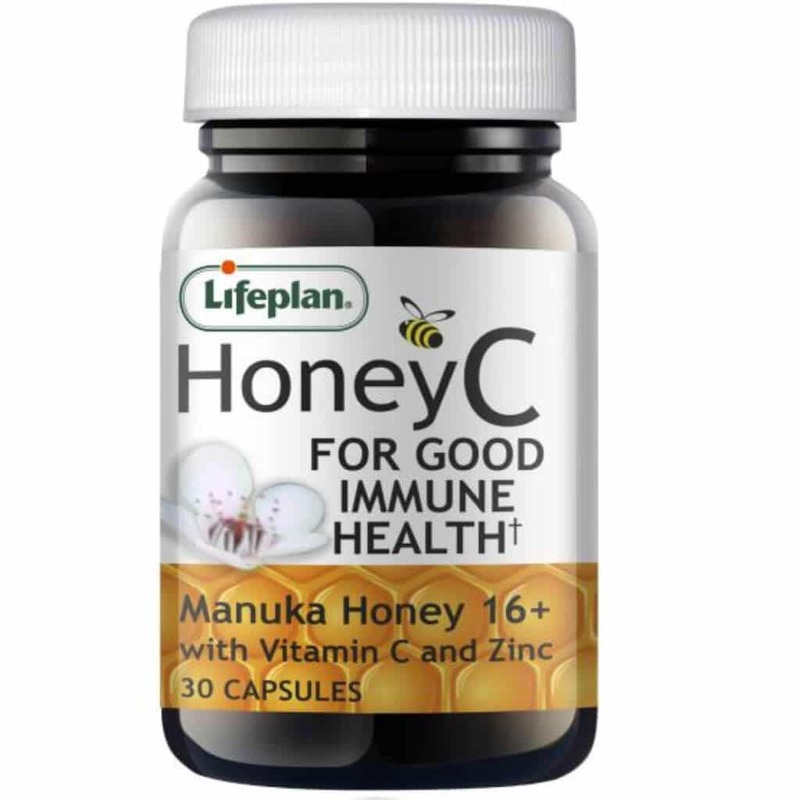 These capsules provide Manuka Honey 16+ together with Vitamin C and Zinc to support the normal function of the immune system†. Honey C Contains No added yeasts, flavourings, colourings or preservatives.